The other night when I was in church the Lord gave me a prophetic vision that I would like to share. In this vision I was weeping with a great sorrow and praying for the Lord to help me. I saw myself take my heart out of my body and lay it on the church’s altar. The heart I laid on the altar was cracked, broken, bleeding, creviced, hurting, splintered, laboring to beat, not whole. I then saw the Lord Jesus take up the heart I had offered him. He so tenderly picked it up with his hands and put it in the crook of his arms as he would hold a newborn babe. Jesus started carrying around my heart. He spoke softly, gently caressing that broken, bleeding, creviced, splintered, hurting heart of mine that beat so irregularly. As he lovingly touched my heart, I could feel the healing and tremendous compassion He had for me. I then saw the Lord take my heart and it was no longer bleeding, broken, creviced. It was new and pure, it had beautiful wings as if it could fly. The Lord with His hands took my heart and placed it back into me and I felt a great lightness in my body. 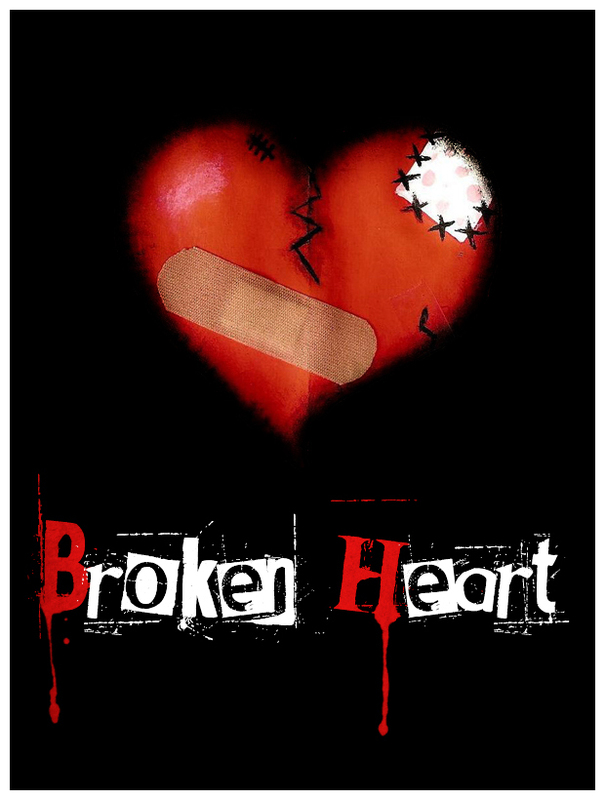 I wasn’t sure why I saw my heart this vision as I didn’t feel like I had broken, hurting heart. The Lord spoke to me and said it was for me to share to hurting people. He let me feel their hurt and His great compassion for them. The Lord wants us to give Him our broken hearts; to give Him our needs, our concerns, our dreams, our goals, our lives. When we do that, we allow the Lord to do a work in us. We grow in grace and knowledge of the truth. Jesus has walked where we have walked. 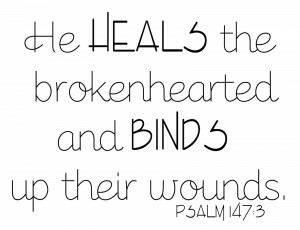 He has experienced the pain and hurt that life can bring and he handled it correctly, He put his trust in God, His Father. He did not sin. Because He did not sin is why we can trust Him. He knows how to help us in those broken times, He knows how to cleanse us and create newness in us. He knows how to make us better and not bitter. We can trust our Lord with our heart whatever condition it is in. 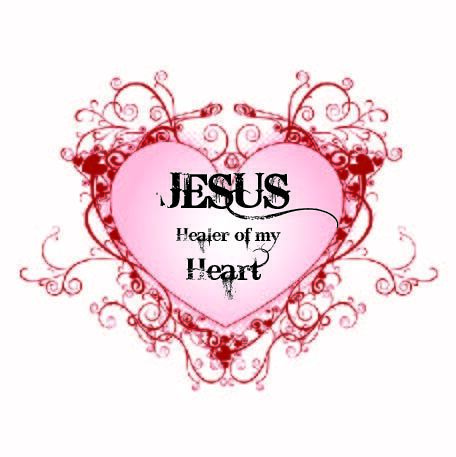 Jesus is our heart-healer, our heart-maker, our heart-cleanser, our heart-restorer, our heart-deliverer, our heart-renewer, our heart-tuner, our greatest heart-love! Bow before the Lord, ask Him to help you, give Him your cares, burdens, heartbreaks, be obedient to His word, repent of any sin. All you have to do is sincerely say, “Jesus, I need you! I can’t do it on my own. Help me! I will listen to you!” As you seek Him, you will hear His heartbeat and you can be in sync with Him. He loves and cares for you!